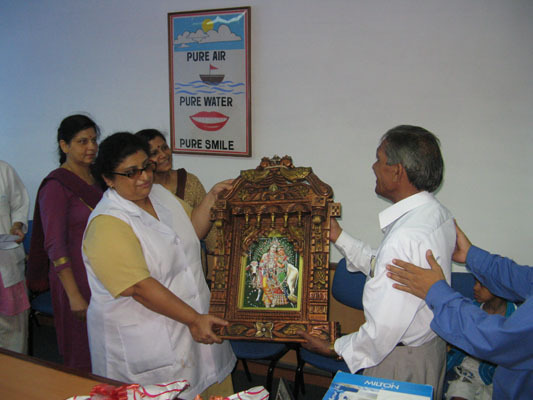 Mr. Dhaniram, Chair Side Assistant , Department of Orthodontics & DFO retired on 30/06/09. He was given grand farewell by the department as well as the Institution. Dr.Verma speaking on the Occasion appreciated the 32 long year put in by him with dedication.